Uptown has the boutique charm and the vibrant sass of the core downtown. What has always been a void in this 'hood, is the quintessential independent cafe. 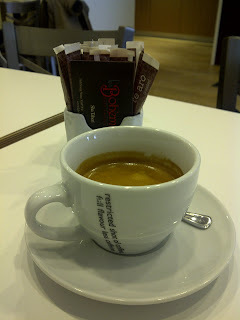 You'll find a lot of big brand name coffee shops, but it's lacking that local feel. Since "Le Gourmand" closer up shop during economic shake-down the market as been a huge "le Sigh"! Since the revitalization spearheaded by the BIA, new sidewalks and better paved roads have sprung up. In addition was a handful of new cafe. Some have survived the 6 month curse, and others have gone to the wayside. 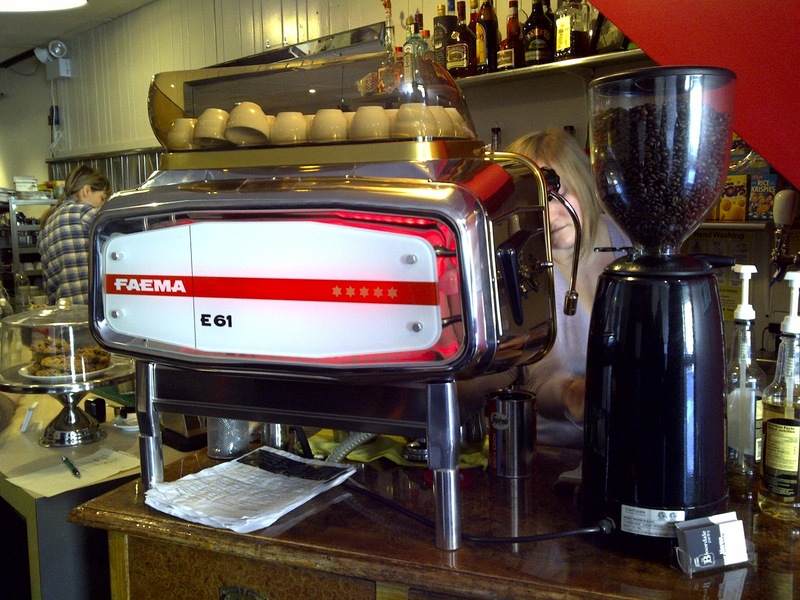 La Boheme proudly serves one of my favourite roasters Te Aro. 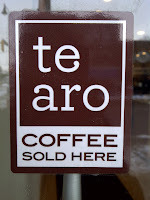 Using their well-roasted beans gives them a leg up in the area to define their presence against the corporate giants. We'll see if they can win over the crowd up at Y+E. I've only seen this machine at Moonbean in Kensington Market, but it's a great workhorse. Sleek Red is the theme. They even have the matching grinders to make it a complete set. Verdict: le sigh. 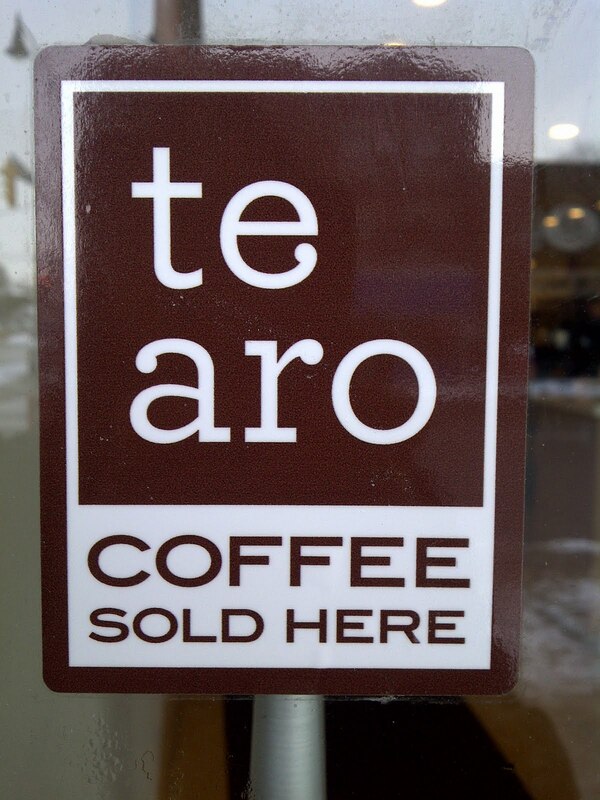 So much potential, but not what I've come to expect from Te Aro. No fault of the roasters, but the young staff at Le Boheme can use some quality control. The double espresso was prepared too long for my tastes, almost similar to a extra small americano than the syrupy double at Te Aro. Flavour profile came off as dried cocoa powder, and no sweet citrus balance. 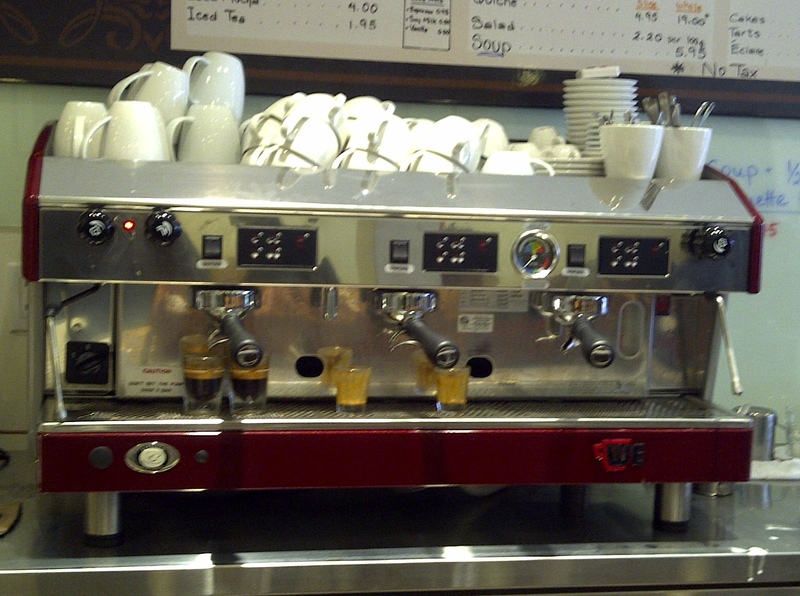 Maybe it's the turnover at the cafe, or the rotation of the beans, but something is off here. I hope that they can resolve this problem and pull better quality shots for the future.